Armenia is showcasing its close relationship with Iran at a delicate time in its negotiations with two other, less friendly neighbors: Azerbaijan and Turkey. With the normalization of Turkish-Armenian relations and the resolution of the Karabakh conflict looking increasingly problematic, authorities in Yerevan seem to be hedging their bets by pursuing more multi-million dollar commercial projects with Tehran. Armenian leaders have also made a point of underlining Iran’s broader geopolitical significance for their landlocked country and what they have long described as Tehran’s “balanced” position on the Karabakh dispute. Their Iranian counterparts have readily reciprocated that praise in the latest flurry of diplomatic activity between the two governments. “The foundation of the two countries’ relations is being fundamentally strengthened and cooperation in such major fields as energy, transportation, and communications would project a new image of our bilateral ties,” Iranian Foreign Minister Manouchehr Mottaki said at the end of a two-day visit to Yerevan on January 27 (IRNA, January 28). “You know well what importance we attach to relations with the Islamic Republic of Iran, and that we perceive you as a reliable partner and a country with a pivotal significance in the region,” Armenian President Serzh Sargsyan told Mottaki during their talks adding, “Therefore, the development and deepening of bilateral relations stems from our interests” (Statement by the Armenian presidential press service, January 27). The main official purpose of Mottaki’s trip was to co-chair with the Armenian Energy Minister Armen Movsisian a regular session of an Armenian-Iranian inter-governmental commission on economic cooperation. The meeting focused on plans for building a railway connecting the two countries, a pipeline to deliver Iranian oil products to Armenia, and a major hydro-electric station on the Arax River marking the Armenian-Iranian border. Mottaki and Movsisian said they have made further progress on these projects, requiring billions of dollars in funding, but announced no dates for their implementation. 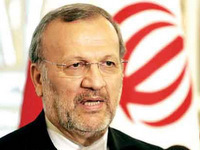 The Iranian minister said only that the commission is “aiming to achieve quick results” (Kapital, January 27). With an estimated cost of $2 billion, the railway project is particularly ambitious. Just how the two sides, and Armenia in particular, plan to finance it remains unclear. The Iranian government reportedly expressed its readiness during Sargsyan’s April 2009 visit to Tehran to provide a $400 million loan to Yerevan for that purpose. The Armenian side, which would foot the bulk of the bill due to the virtual absence of any rail infrastructure in its southeastern Syunik region bordering Iran, is expected to seek the remainder of the funding from multilateral lending institutions. One of them, the Manila-based Asian Development Bank, has already agreed to finance a $1 million feasibility study on the project to be conducted soon. 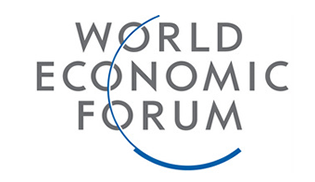 Armenian-Iranian economic cooperation has, until now, centered on energy, resulting in the construction of a natural gas pipeline inaugurated by the two governments in December 2008. In May 2009, Armenia began importing modest amounts of Iranian gas (approximately 1 million cubic meters per day) and paying for it with electricity supplies to the Islamic Republic. The volume of those deliveries is due to rise sharply after the planned construction of a third high-voltage transmission line linking the Armenian and Iranian power grids. Movsisian said in November 2009 that the work on that line will start in 2010 and take about 18 months (www.armenialiberty.org, November 12). The ongoing reconstruction of Armenia’s two largest thermal-power plants, the main recipients of Iranian gas, should be completed by that time. Mottaki arrived in Yerevan less than a week after the former Armenian President Robert Kocharian’s surprise visit to Tehran, which sparked intense media speculation in Armenia. 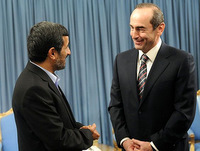 Kocharian held talks there with the Iranian President Mahmoud Ahmadinejad and Mottaki. The official Iranian IRNA news agency cited Ahmadinejad on January 21 as calling the Armenian-Iranian relationship “very friendly” and saying that the two neighboring nations are “determined to implement joint projects and play an active role in regional developments.” Both the Armenian government and Kocharian’s office insisted afterwards that the former president, who has kept a low profile since handing over power to Sargsyan in April 2008, visited Iran in a private capacity, even though he was invited by the Iranian government. Speaking at a news conference in Yerevan, Mottaki described Kocharian’s talks in Tehran as a conversation between old “friends” who share “good memories of the past” and have plans for the future (www.armenialiberty.org, January 27). Some Armenian media commentators construed Kocharian’s first major political engagement since his resignation as a sign of his impending bid to return to power. Others said, however, that Sargsyan himself sent his predecessor and longtime ally to the Iranian capital to warn the West against pressuring Armenia to make additional concessions to Azerbaijan and Turkey. The main opposition Armenian National Congress (HAK), Kocharian’s most bitter detractor, subscribed to the latter theory. In a January 26 interview with Radio Free Europe’s Armenian service, one of the HAK leaders, Levon Zurabian, speculated that a high-profile visit to Tehran by Sargsyan or another serving Armenian leader would have made Yerevan’s diplomatic gambit too galling for the United States and other foreign powers involved in the Karabakh peace process.